Oscar winner Roberto Benigni tries the same trick here as he did in Life is Beautiful. To set a comedy during the Holocaust is a brave decision, but the result was surprisingly touching and certainly did not belittle the subject. Finding humour in the face of tragedy has a potent effect of bringing the subject nearer to the viewer, and worked beautifully, pardon the pun, there. Tiger, which takes place during the Iraq war, seems badly judged from the start. Slapstick comedy and a political subtext can work well, but not here. A great cast, including Nicoletta Braschi, Jean Reno and, for fans of UK television, Emilia Fox, try their best, but the sub-Jim Carrey stylings of Benigni are irritating to say the least, and the attempts at pathos are excruciating. 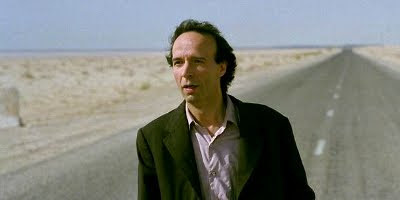 Shot in Tunisia, the film looks stunning, and Benigni is patently a skilled director, but a lousy writer. Fox is as alluring as ever, but star of the show is a bizarrely out of place Tom Waits, who brings new meaning to the term gravel-voiced.